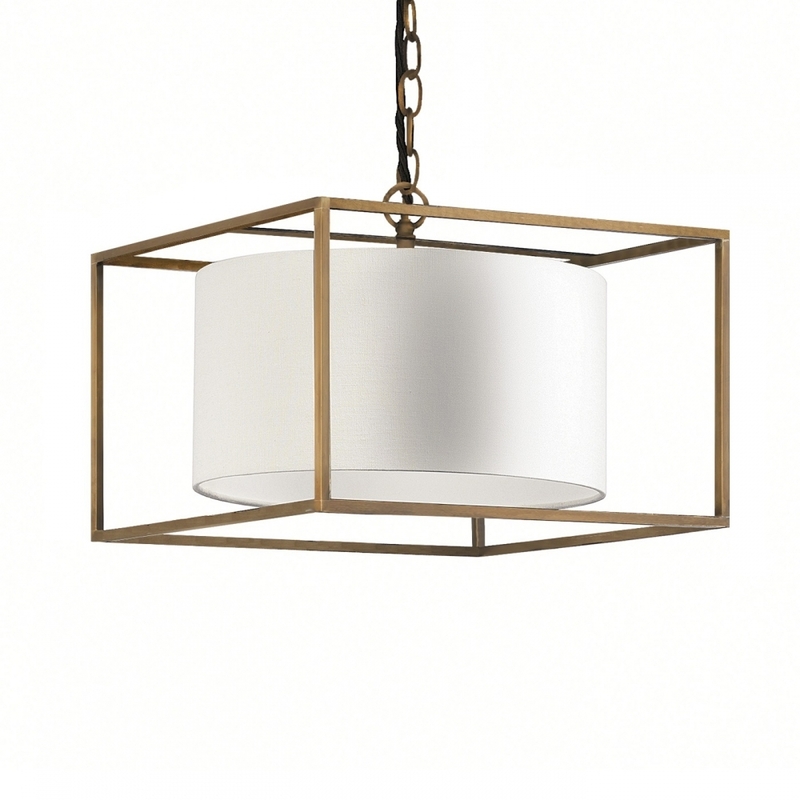 Presented in either a bronze or nickel finish, the Derwent Cube Medium Pendant Light by Heathfield & Co wil make an impact in a contemporary dining or living space. Group three pendants together in a modern lighting installation over a beautiful dining table to create ambience and style. The solid cube frame encases a luxurious shade crafted out of oyster linen. The classic design can look elegant with a pale, neutral colour or dark and dramatic in charcoal or midnight blue. Get in touch with our team to receive samples, advice and tips.